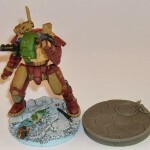 Micro Arts Studio’s resin scenic bases have been around for quite a while – in fact, MAS was on of the very first official partners to the Corvus Belli’s infinity. 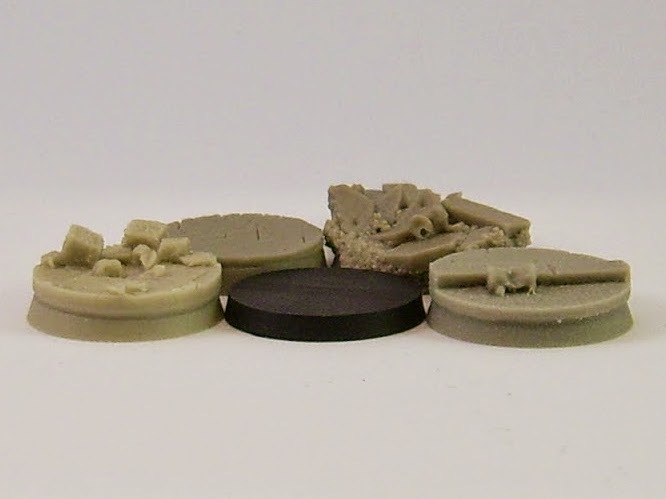 And one of their leading products are resin scenic bases for miniatures. Myself, I’ve been using these since my very start with Infinity, which means a couple of years and a few dozen miniatures by today. Time to share the experience. 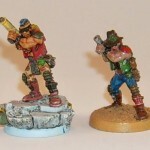 MAS makes several styles of these resin bases – currently, they carry almost 40 entries, and I do not doubt the choice will be growing with time. 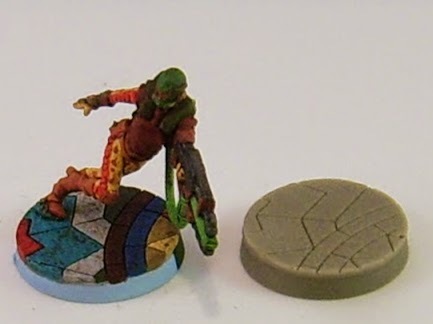 Most style bases are available in typical Infinity sizes – 25mm and 40mm round (since the introduction of 55mm to Infinity the Game in the spring of 2014, a few styles have got suitable bases added, again, I expect these to get more widespread in time), though a few are not. You are, however, most likely to find these few not fitting the feel of Infinity anyway. Still, a matter of your taste – with almost 40 styles, I’m pretty sure you will find something up to your taste. There tend to be a number of bases within every class – for example, the Urban line 25mm are made in 12 variants, yet sold in packs of 12 random ones. 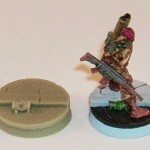 The 40mm tend to be available in 6 variants, and 55mm – 4 variants, sold in packs of 2 random ones. Urban – This style, with hexagonal pavement tiles and futuristic roadways is labelled “Designed for Infinity” by MAS. 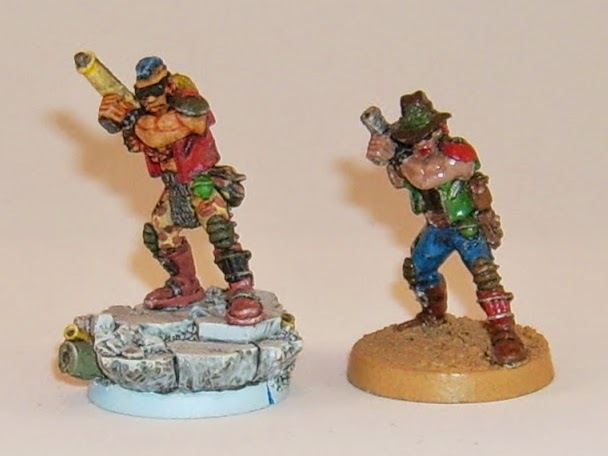 I use them for my first army, a Qapu Khalqi force (and as a default style). 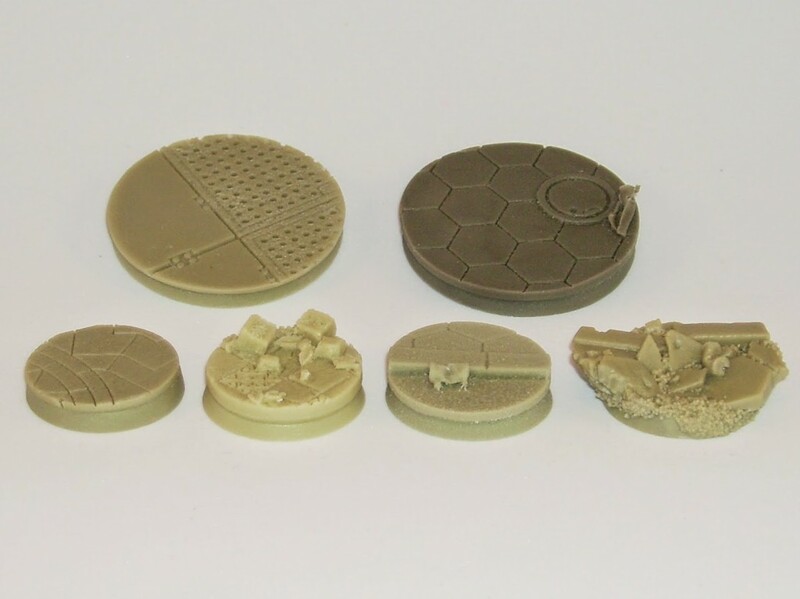 Urban Fight – Same as Urban, but the bases depict a war zone – broken pavements, shellholes and… scattered parts and equipment which is easily identifiable as Infinity stuff. From loose backpacks and spent DEP tubes to wrecked REM, bike or an arm ripped off a Cutter! I generally use them to add up to the variety of Urban bases. Warehouse – Having spent a few years on a factory floor myself I can tell you – that’s realistic stuff. Steel gratings, anchor points and well-worn concrete (showing the steel grid wires inside in many places) – serves as basing for my Corregidor models (save for those who can be deployed with QK). 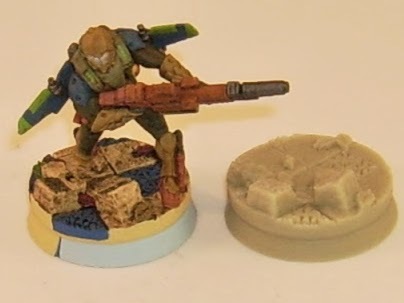 Sorry, didn’t had an unpainted 25mm one. Ancient – Ruined buildings (complete with broken pillars and shattered structures), I went with these for my Hassassin Bahram models. Mosaic – that hardly requires explaining. Should I start a Sultanate force, well, that’s it. 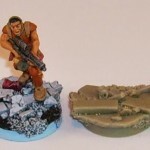 And one yet to come – Wasteland for future Khanate troops. Does it make a difference in model’s look? Hell yes. 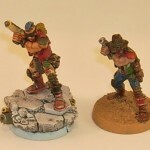 I happen to have an example of two nearly identical models (old Grenadier sculpts). 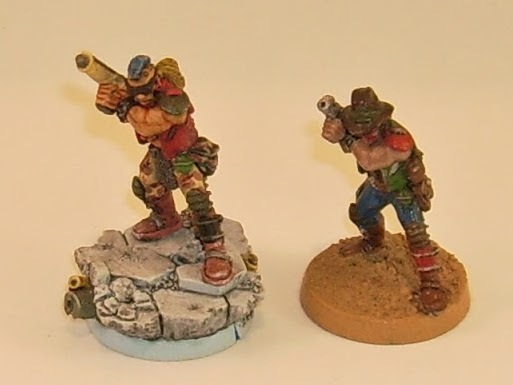 The one on the right (don’t mind the paintjob, I did it as a teenager… which means, a looong time ago) is on a standard plastic base covered with sand. 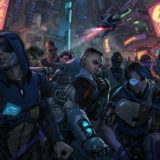 The one on the left has a MAS Urban Fight base. Much, much more interesting! 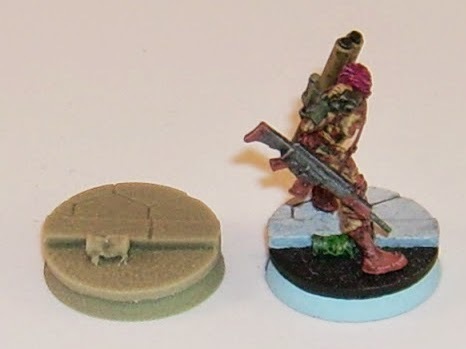 In the days of 2ed, some folks were disheartened by the MAS bases being way thicker than normal plastic ones – and the effect it would have on model’s height, therefore – Lines of Sight to the model and gaining Cover. While I never found it to be an issue, I’m pleased to notice that – with the advent of Silhouettes in N3, this issue shall become null and void! 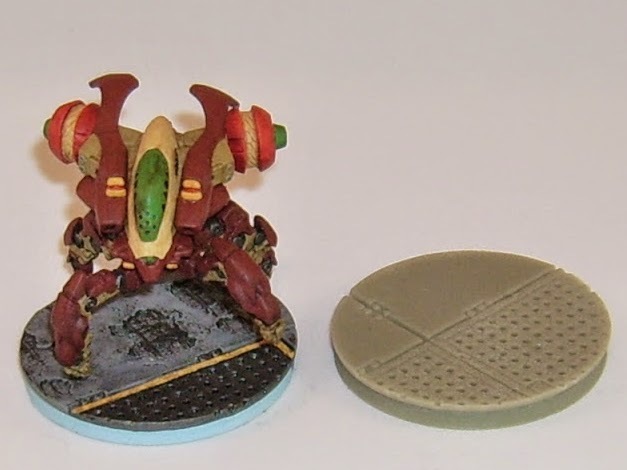 If a pack of bases costs 4,92 EUR (5x 25mm, 2x40mm or 2x 55mm), it definitely isn’t cheap. Which is fine with MAS, for they charge you for quality stuff. 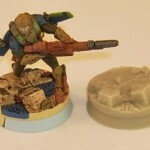 One, it is not the cheap, bending, heat-sensitive resin the One Well Known Gaming / Miniatures company started to use for their models en masse a few years ago. No sir, not the stuff that will turn into goo after a few sun rays through your window. MAS’ resin is hard. You can cut it, file it (careful with that, as usual with resin and other fine dust-creating materials) and drill it, but definitely no bending is possible. With summer temperatures exceeding 35 C this year I have to report the material did not become any less stiff & solid. I have heard that boiling it in water (which means roughly three times as hot) doesn’t make it softer either, but this I haven’t tested myself. There was no need. Two, air bubbles in the resin. Yes, they do happen sometimes. If so, they are few and really tiny. It is very rare for them to not look natural (“it was meant to look this way, wasn’t it?”) once painted. I have never seen a real miscast, and really few imperfections. Which means that Micro Arts Studio has a really, really tight quality control! 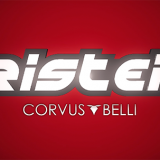 An excellent variety of styles – and bases within a given style. 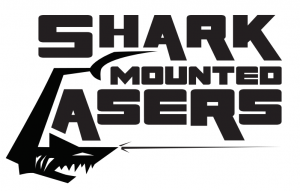 They require drilling to mount models on (well, but almost all scenic bases do. 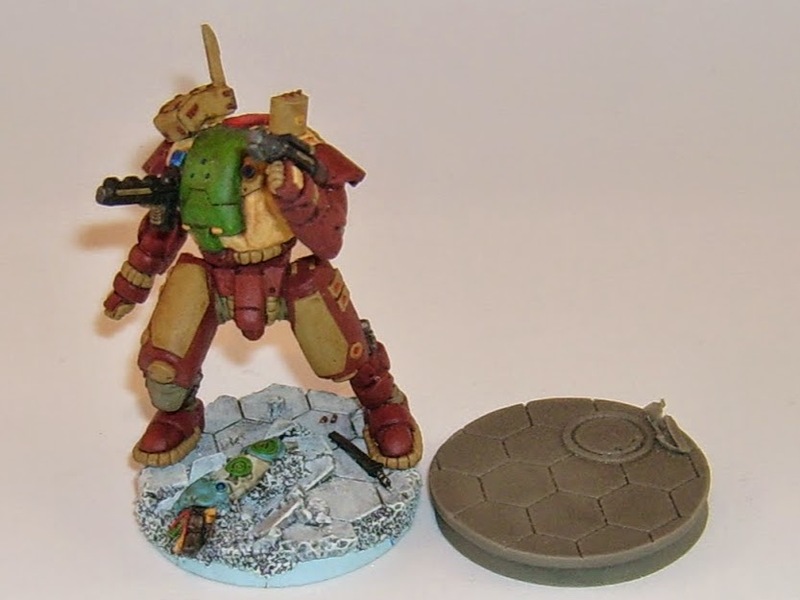 Besides, that’s not much of an issue in the era of flat modern bases). A little too thick (only some lines). Not sticking to the round footprint – in some lines (eg. Urban Fight). 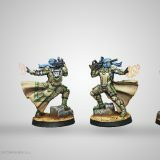 So what’s up with the Customeeple Infinity bases? Great review – but not sure why you didn’t discuss their recently successful kickstarter. I know the bar sizes are different – but it does strongly indicate the direction they seem to be wanting to take with their bases (going from whole bars to inserts) and the change in materiality. I can reliably review only what I actually had in my hands. 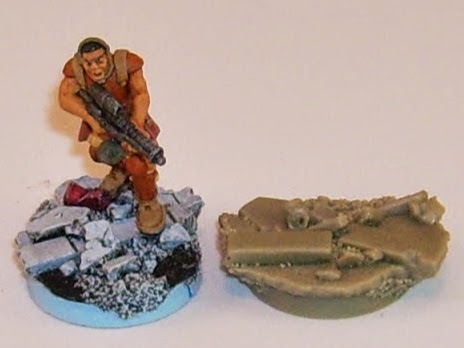 Over the years I had quite a few MAS bases – but all were the full-resin (or what, I belive, you call “whole bars”), but none of these insert ones you mention.